Born October 16, 1974 in Indianapolis, Andre Carson attended a Baptist church and was educated in a Catholic school. He converted to Islam in the 1990s after his exposure to the poetry of the Sufi mystic Rumi and The Autobiography of Malcolm X. From 1996-2005, Carson worked as a law-enforcement officer for the Indiana State Excise Police. He earned a criminal-justice management degree from Concordia University in 2003, and a master’s degree in business management from Indiana Wesleyan University two years later. In 2006 he took a job with Indiana’s Department of Homeland Security. Carson launched his political career in August 2007, when he was elected to the city-county council of Indianapolis and Marion County. That December, Carson’s grandmother, Julia, a congresswoman who had represented Indiana’s 7th District since 1997, died of lung cancer. (Her close friend, Nation of Islam leader Louis Farrakhan, delivered the eulogy at her funeral service.) Three months later, Andre Carson won a special election for his grandmother’s vacant seat in the U.S. House of Representatives, thereby becoming the second Muslim member of Congress (the first was Keith Ellison). Carson has retained that legislative seat ever since. In the House of Representatives, Carson has been a member of the Congressional Progressive Caucus, the Congressional Black Caucus (CBC), the Climate Change Caucus, the Human Rights Caucus, the Labor and Working Families Caucus, the LGBT Equality Caucus, and the Renewable/Efficient Energy Caucus, among others. He also has served as the CBC liaison to the Sustainable Energy and Environment Coalition. And he established a reputation as a fierce opponent of the Iraq War and an avid supporter of a government-run, universal healthcare system. On March 20, 2010, Carson and fellow CBC member John Lewis made headlines when they claimed that conservative Tea Party protesters who opposed healthcare reform had hurled racial slurs at them as the congressmen headed toward the Capitol to vote on the PPACA. Specifically, Carson said that while “hundreds of people” were chanting “Kill the bill,” he had heard the “n – word” directed at him and Lewis “at least 15 times.” The late conservative blogger Andrew Breitbart subsequently offered a $100,000 reward for anyone who could provide audio or video proof to substantiate Carson’s accusations. No one was ever able to provide such evidence, and the reward went unclaimed. Moreover, a film clip posted online by The Washington Times contradicted Carson’s charge. In 2013 Carson joined New York Rep. Gregory Meeks and Minnesota Rep. Keith Ellison in attending a dinner hosted by Iranian President Hassan Rouhani, where Nation Of Islam (NOI) leader Louis Farrakhan was also on hand. In December 2016 Carson and Ellison together visited Farrakhan in his hotel room. Further Reading: “Andre Carson” (Ballotpedia.org, Votesmart.org, Keywiki.org); “Muslim Running for Congress Wants to Combat Ignorance about His Faith” (The Sun, 2-13-2008); “Video Appears to Dispute Lawmaker’s Claim of Protesters’ Racial Slurs” (3-20-2010); “Rep. Andre Carson: Tea Party Protesters Are ‘One of the Largest Threats to our Internal Security’” (Breitbart.com, 5-6-2010); “Rep. 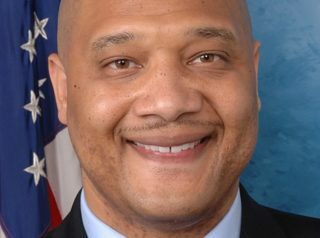 Andre Carson: Tea Party Wants To See Blacks ‘Hanging On A Tree’” (ABC News, 8-31-2011); “Revealed: Three Democrats Attended Private Dinner with Iran’s President and Louis Farrakhan” (Daily Caller, 2-9-2018); “The Four Democrats Who Met with Farrakhan and Still Won’t Renounce Him” (Daily Caller, 3-10-2018); “Seven House Democrats Have Direct Ties to Notorious Anti-Semite [Farrakhan]” (Daily Caller, 3-5-2018). In 2008, Carson attended a conference held by the Islamic Society of North America. On September 8, 2009, The Muslim Public Affairs Council (MPAC) announced that Carson would be a featured speaker at its 9th annual Convention on December 5 of that year. On January 27, 2010, Carson was one of 54 Members of Congress who signed a letter calling on President Barack Obama to use diplomatic pressure to end Israel’s blockade of Gaza — a blockade which had been imposed in order to prevent the importation of weaponry from Iran and Syria. Between January 2008 and September 2016, Carson received more than 100 separate political donations (totaling nearly $70,000 altogether) from Islamists affiliated with the Council on American-Islamic Relations, the Islamic Society of North America, the Muslim American Society, and the Muslim Public Affairs Council, SAAR, IIIT, SAFA, NAIT, and the Islamic Circle of North America. At an MAS/ICNA Convention held in Chicago in December 2014, Carson was scheduled to participate on a panel alongside MAS national executive director Mazen Mokhtar, who, according to the sworn testimony of federal agents, at one time facilitated the operation of an Al-Qaeda website that raised funds for the Taliban. The panel in which Carson and Mokhtar were slated to speak was titled “Ferguson Is Our Issue: We Can’t Breathe.” The references in that title were to two 2014 events that left-wing activists falsely depicted as instances of deadly, racially motivated police violence against African Americans. Further Reading: “Two Reps Attended Muslim Brotherhood Front Event” (The Clarion Project, 6-30-2016); “Congressman Andre Carson To Be Featured Speaker At MPAC’s 9th Annual Convention” (GlobalMBWatch.com, 9-8-2009); “U.S. Reps in Support of Lifting the Gaza Blockade” (Keywiki.org); “Rep. Carson: America’s Schools Should Use Madrassas as ‘Model’, ‘Where the Foundation Is the Koran’” (Daily Caller, 7-5-2012); “Recipient Name: Andre Carson” (Islamist Money in Politics/Islamist Watch); “Muslim U.S. Congressman Laments: ‘9-11 Was Tough On Muslims,’ Islam In America Is ‘Under Attack, But Must Not Retreat” (The Blaze, 7-12-2012); “Muslim Congressman’s Ferguson Panel at Chicago Islamic Convention Features Al-Qaeda Webmaster, Taliban Fundraiser” (by Patrick Poole, PJ Media, 12-27-2014); “Carson Statement on Attending the ICNA Chicago Convention” (12-31-2014); “Congressman Envisions Over 30 Muslim Reps in Congress by 2030” (Daily Caller, 1-12-2019). In a closed-door meeting on January 13, 2015, House Minority Leader Nancy Pelosi announced that “in the coming days” she would name Carson to the House’s Permanent Select Committee on Intelligence, making him the first Muslim to serve on that panel. At the time, Carson was already a member of the House Armed Services Committee. In addition, he had previously worked for the Department of Homeland Security’s Fusion Center—the clearinghouse in charge of streamlining the data-sharing process between the CIA, FBI, Department of Justice, and military. Further Reading: “Pelosi to Name First Muslim Lawmaker to House Intelligence Committee” (Politico.com, 1-13-2015); “Carson Appointed to House Intelligence Committee” (1-14-2015). In the summer of 2015, Carson backed the nuclear deal that the Obama administration negotiated with Iran—an agreement allowing the terrorist regime in Tehran to inspect its own Parchin nuclear weapons research site, conduct uranium enrichment, build advanced centrifuges, buy ballistic missiles, fund terrorism, and have a near-zero breakout time to a nuclear bomb. Carson had previously received financial support from the Iran Lobby, i.e., the Iranian American Political Action Committee (IAPAC). Further Reading: “Traitor Senators Took Money from Iran Lobby, Back Iran Nukes” (By Daniel Greenfield, 8-15-2015). For an overview of Carson’s voting record on a variety of key issues, click here.